That is such a perfect web!!! Fantastic! For Halloween and for us. Thanks Misty! 31 days of October photos is a cool idea! this is a fabulous shot! 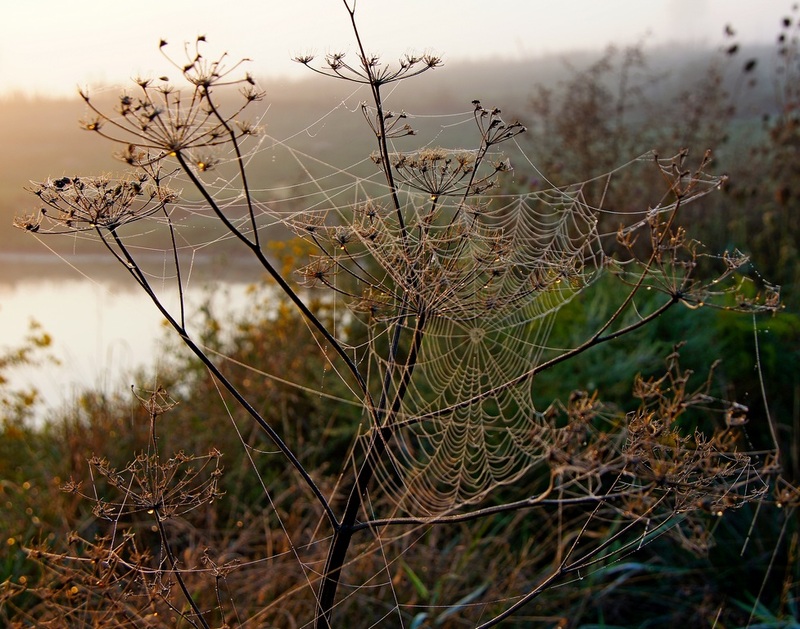 Beautiful spiderweb!! I love the wild parsnips for having such strong stalks that they can allow spiders to spin such large webs! !